I arrived two days before the event to see the city and participate in the event organization. Sevilla is a wonderful city. From the airport you can already perceive a modern infrastructure, where all details have received attention. Considering the number of tourists arriving in the city and its own weight, this is a great achievement. 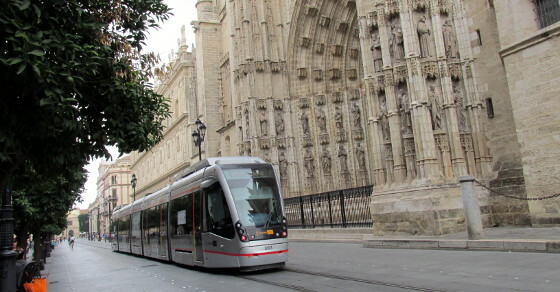 Later, downtown represents the roots of the zone with labyrinthine neighborhoods, just meters from Real Alcázar and Seville Cathedral. On Saturday, it was time to meet the Joomla! live. In my experience within the community, the relationship is always stimulating and challenging. In a first contact, a climate of friendship and overall familiarity can be perceived, originated from long online conversations. For newcomers, it is an oasis of experiences and expertise freely offered. In the long haul, the community reveals layers of complex technological and political relations, that must be learned to navigate through. 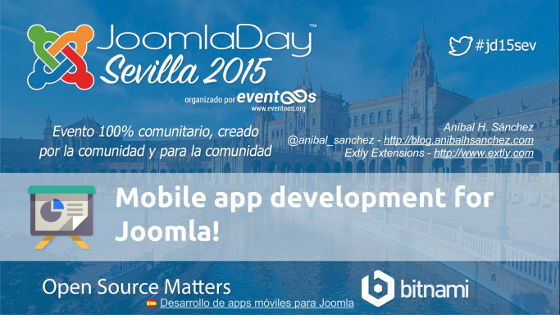 I was able to experience firsthand all these dimensions in Joomla Day Sevilla. Congratulations to the organizers of open source events, Eventoos! In conclusion. I arrived with a load of expectations, typical of a long maturation period and recent change in my life, where I traveled from my beloved Buenos Aires to Oviedo, Asturias. All my expectations were more than fulfilled, a first perfect Joomla Day. Thanks to Joomla! Finally, to double the bet, between November 6 and 8 2015, Joomla! World Conference will be held. 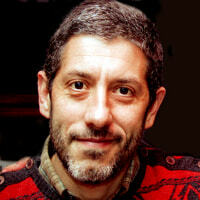 A worldwide event, where I will be able to attend thanks to Joomla Event Travel Programme (JET). On top of this, I will be introducing Mobile Apps development for Joomla! topic. If you have the opportunity to travel to Bangalore - India, this is an unsurpassable opportunity.